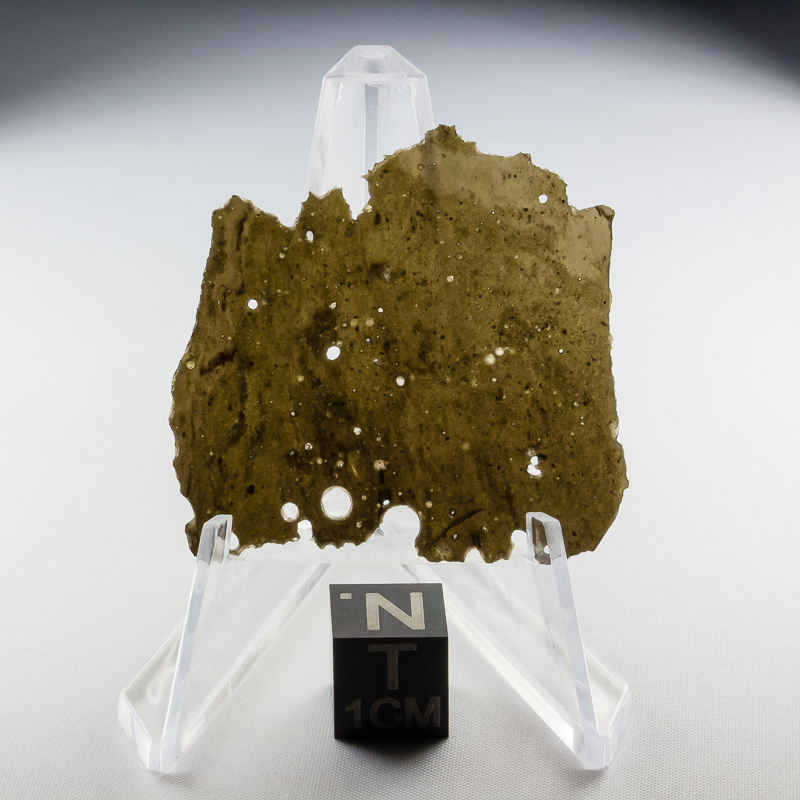 Muong Nong Tektite Slice MNS-4 - The Meteorite Exchange, Inc. This slice of Muong Nong Tektite has been cut, diamond lapped, and lightly polished at thicknesses that shows the internal structure nicely. These slices are very difficult to produce and extremely fragile so each specimen comes securely packaged in it's own protective membrane box. Each slice will provide the tektite enthusiast hours of enjoyment and learning under a microscope, loupe or hand lens.